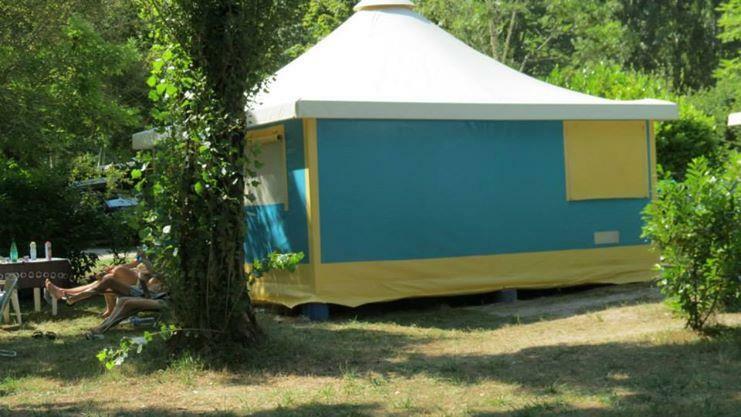 The campsite *** on Lake Lislebonne welcomes you to its unspoilt natural surroundings, its calm and friendly atmosphere. 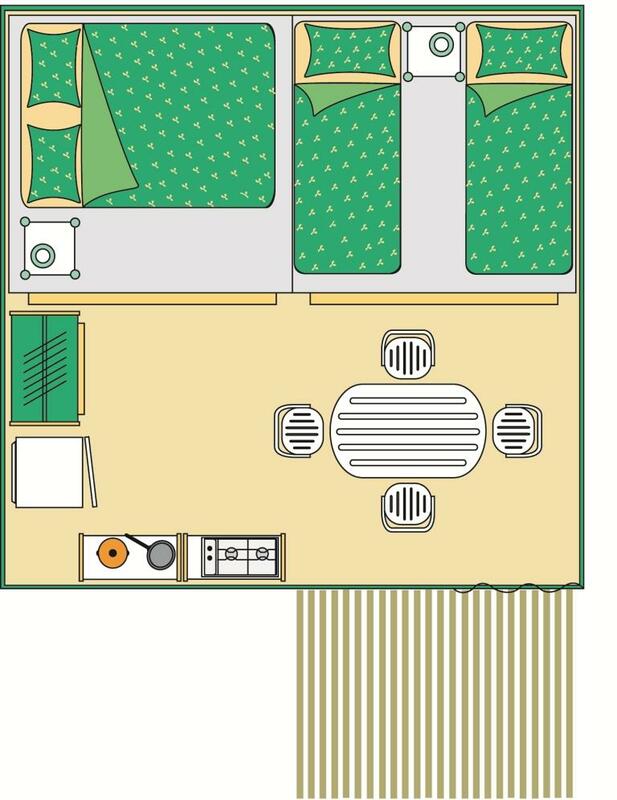 These 16m² canvas bungalows have 4 beds, without sanitary facilities. 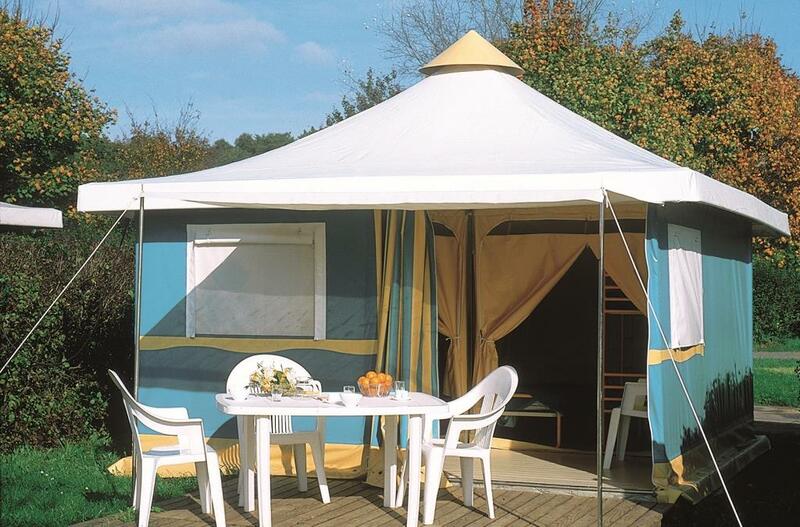 They allow you to practice camping while enjoying comfortable equipment already on site.Fishing and swimming in our private lake or our indoor heated swimming pool are possible in all seasons. In high season, we offer a program of activities, day and evening, for the whole family. The campsite has many services on site such as a laundry, a bar, a grocery store, a television room, wifi access, a bicycle and canoe rental service available in all seasons, as well as a restaurant open in high season. Many hiking trails are to be discovered at the gates of the campsite.